Hostage Situation In Germany: Security Forces Deployed Near Cologne Main Train Station 5 out of 5 based on 2 ratings. 2 user reviews. UPDATE: German police have apprehended an assailant who took hostage the woman. The hostage sustained light injuries and was taken care of. The attacker, who also received injures, was detained. 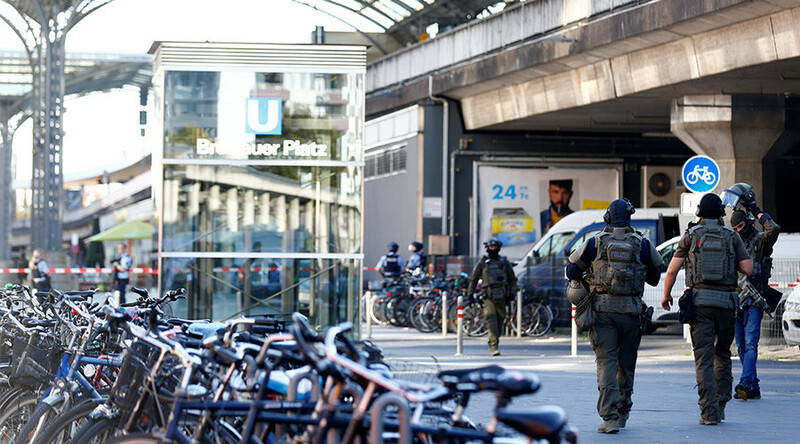 German police has reported a hostage situation near the main railway station in Cologne. According to local media, a large group of security forces, with heavy presence of officers armed with submachine guns, has been deployed on site. The suspect is repotedlyarmed, but his identity is yet to be established, according to police. It is unknown at this stage if the perpetrator has any terrorist connections. So far, police have evacuated the area and Germany’s leading railway company has announced that it is suspending trains arriving. According to reports, security forces are preparing for a possible hostage resuce operation.